A new use for a historic space, this small commercial kitchen is a life-long dream come true for it's owner. A space suited for teaching and with the clean and simple charm that is unique to the space it fills. 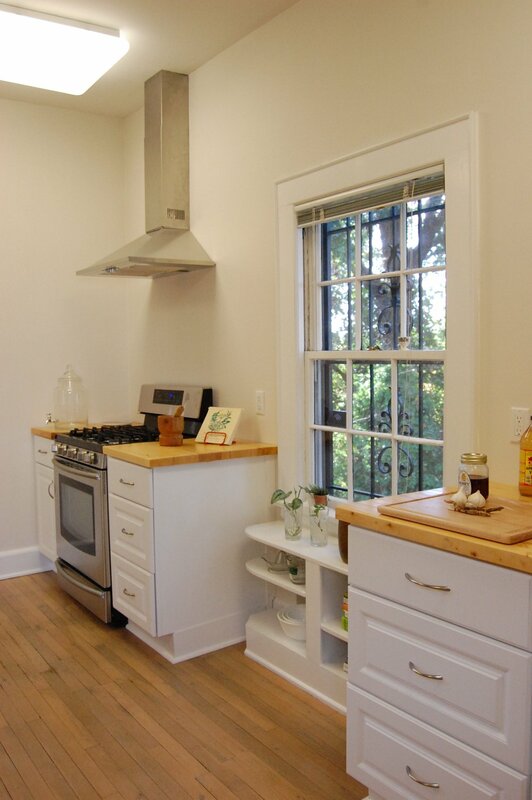 Clean and bright colors combined with maple butcher block tops make this space warm and inviting for students. Interested in a Cooking Class? Find out more about Nutritional Perspectives HERE! Set up a consultation today, for FREE!